Don’t let that crazy-low price fool you – this is a seriously good-drinking wine! Grifone (that’s Gree-pho-nay) wines all have been extremely well received. Grifone Sangiovese comes from a family-owned winery in Italy’s Tuscany region. A Sangiovese that would shake up expectations a bit. Sangioveses tend to be very big, very complex, and very tannic wines. Grifone Sangiovese is all of those things, but without the “very”. Its nose of raspberry and cherry is intense, its floral, balsamic, and spice flavors are complex, and its long, lingering, satisfying finish is replete with smooth, approachable tannins. 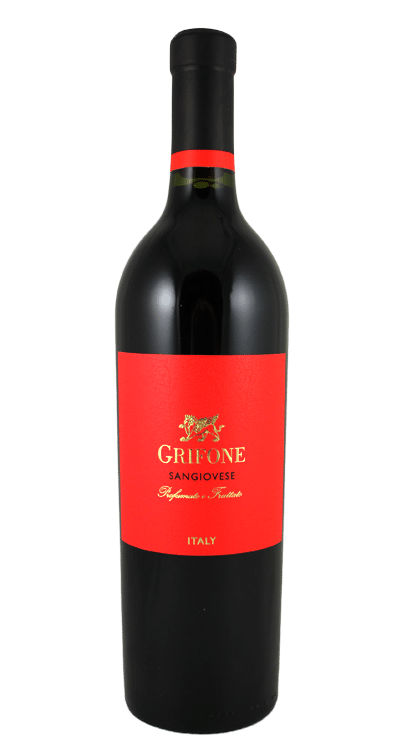 Grifone Sangiovese is entirely approachable, easy to drink whether as an aperitif or with a big meal. At $3.99 don’t miss out on this special buy!